Saturday at the Maker Revolution featuring Bre Pettis, Bill T. Miller, Mitch Altman and Derek Hoffend among many others. Special thanks to Willoughby and Baltic and the Microsoft Startup Labs. The Maker Revolution @ Microsoft Startup Labs from Boston Cyberarts on Vimeo. The Megapolis Festival opening night in Cambridge was amazing. This video features The Lothars, The Boston Typewriter Orchestra, Radio Wonderland and Die Schrauber. Megapolis 4/24/09 from Boston Cyberarts on Vimeo. Nourishment, Art That Feeds the Soul and Makes Strong Funny Bones will be an exhibit at Art Institute of Boston @ Lesley University featuring the work of two artists, Ellen Wetmore and Jeff Warmouth. Last week, I interviewed Jeff about his work and what he has in store for his part of the show. 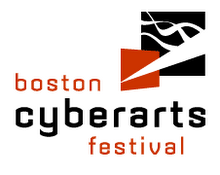 MCE: Can you tell me a bit about what you have planned for the Cyberarts Festival? JW: I’m creating competing fast food establishments. The gallery is going to be divided into large interactive video installations that represent two different fictional fast foods establishments, Jeffu Burger and JFC. MCE: Why did you choose to incorporate technology? Why touch-screens and cybernetic agents? JW: I’ve been doing food-based work for forever -- for a decade at this point -- but I’ve never really done fast food, per se. But I just began really thinking about fast food as a cybernetic experience. You know, from almost the micro-level, you drive up to the drive-thru window -- and there is technology. We don’t even talk to a person anymore; we’re mediated by technology at that level. You pull up to a window, speak to a little voice in the speaker and you have a menu that you are looking at. Even on a much larger level, fast food as it exists in the world is totally dependent on 20th century technology. Just in terms of the way cows are grown to produce beef -- that could not exist without a lot of machinery, inventions like fertilizers, and lots and lots of technology that wasn’t around before the latter part of the 20th century. Fast food is all wrapped up in technology. I work with comedy, and of course, there are jokes, culturally, about “Oh, fast food… it’s all the plastic. It’s all the same. It’s robotic.” Even though it really is humans serving things up to you. But, in a sense if you drive up to a fast food window or you walk into a McDonalds and order, the workers, reading scripts, are almost like cybernetic entities onto themselves. They are not really enacting the roles of humans anymore. They are sort of enacting this cybernetic, robotic role. MCE: Can I interrupt you for a moment and ask what you mean by cybernetic? JW: I’m probably not being consistent in my use. I’m certainly familiar with Norbert Weiner’s definition of cybernetics and how in its original, literal sense it’s all based on feedback. I guess also I’m using the word in the sense of a cyborg. I mean, when I say the role they are playing is no longer a human role, they’re playing a robotic role. Also, when I’m thinking about cybernetics and fast food as a cybernetic experience, I’m thinking about both the sense of a feedback loop but also, I suppose, a dystopian sense that a computer or a machine is implicitly part of that feedback loop and is moderating that feedback -- .. Speaking of puns, I’ve heard you talk about the importance of comedy in your work. Why do you think this is an effective way to subvert everyday practices for you? Of course, it would be great to have a funny answer. Why is it effective? I’m not sure. I think our society accepts comedy. I think it’s maybe the only place that society really accepts these deep subversive messages. So, I suppose, it works in terms of audience. Because we are kind of prepped for it. With all of my pieces, whether I'm really heavy on technology or not, for me the comedy is what it all comes back to. 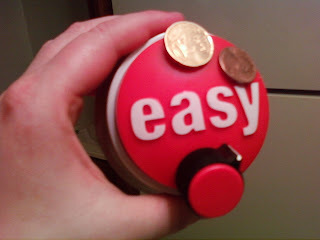 It's the way that I’ve found to get the message across. It's playful and I like playing. It allows for the comic and for the subversive. It allows for the poetic. It allows for concrete things but also abstract and philosophical things but without having to be philosophical. MCE: Thanks, this has been really great. As a final question, any words of advice for people coming to see your work? JF: Enjoy it. Play around and enjoy it. Zebbler (aka Peter Berdovsky) is a one-of-a-kind personality in the Boston art scene. In fact, he was just voted Boston's best visual artist by the readers of the Boston Phoenix. (You may also remember him from a little 2006 incident involving Aqua Teen Hunger Force and the Department of Homeland Security). He indulged our questions in advance of his Cyberarts project, the Dead Video/Live Video festival, happening May 2 and 3 at the MassArt's Pozen Center. 1. Pretend this is Twitter. Describe “Dead/Live” in 140 characters or less. Dead/Live Fest makes artists compete in two categories: short/music videos and live visual performances. 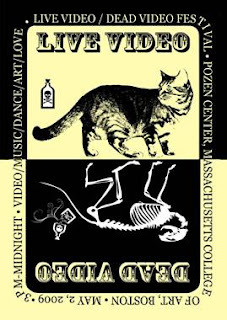 We will pack a screening, performance competition, awards ceremony and a dance party all into one night of incredible visual fun in Pozen Center at Massart on May 2nd. 2. The submission guidelines for the festival seemed pretty broad. How would you describe the range and quality of submissions you received? I truly enjoyed the range of the submissions. We had a range from super complex 3d work to lazily keyed layers from stolen youtube clips. They were all mostly great submissions though. I really wish I could show more - but we had to limit the finalists to just over an hour master reel. 3. Who’s jurying the festival? Mostly just me - yours truly Zebbler. I've been pretty responsible about things and emailed everyone personally to tell them why they got picked or rejected. I have elected two people to help me judge the live video competition of the festival - Nick Colangelo (aka Vinyl Blight) and Ben Cantil (aka Encanti). They are both from my start-up arts and media label Vermin Street. Anything can happen in a live performance setting - so I could really use their eyeballs/ears to tell me what rocked and what just didn't work for them. I have removed myself and my other jurors from the competition obviously. But - all in all - I am sort of enjoying this tyrannical freedom of picking out strong pieces from all of the submissions and weeding out the weak ones. I like having full creative control when hosting events like Dead/Live fest. It allows me to hold the larger vision in my mind and resonate all of the submissions against that larger vision of what I want the event to be like. Hopefully people will like what I planted in the garden for them this spring and we could come back to it year after year to pick the harvest. 4. You were obviously in the middle of a pretty famous example of this city reacting badly to a guerrilla marketing campaign, and now we have the Shepard Fairey arrest. Do you think this town makes it tough for artists to work outside the traditional lines, so to speak? Dead/Live, and other events in the Cyberarts Festival, would seem to argue against that conclusion. I love Boston. I think there are a lot of very creative, beautiful, intelligent people in this city. They/we are the future of the city, and when the right time comes, it will be us in control of the City Hall. What will we do then? I would argue that it's hard to do anything much different that it's being done now immediately. We are in a tough budget crisis in a country that has generally disapproved of funding of the arts for a while. But that's not a reason to give up. I say - lets take care of our bare necessities first, but when the trouble times turn around - lets not forget that the arts are really the soul of the city. Let our souls shine. Let Boston shine. 5. What’s your strongest pitch for getting the readers of this blog into the Pozen Center on May 2? The venue rocks! Surround sound on a moveable lighting truss, giant projection screen, modular staging environment. The performers will rock! We are holding a competition for best use of video in live performance environment. This will be like speed dating for VJs. Every act gets around 15-20 minutes to woo us. Look them up on http://deadlive.tv/schedule.html they are fabulous. The video screening will be very interesting and beautiful. Some of the pieces are melancholy beautiful, some are very intense, some pop, some anti pop. A very nice mix for all the video connoisseurs out there. And the beauty here too is that it's very personal - each video you see was personally submitted to me by its creator. There's no corporate groups making any of it - it's all individuals like you and me - with something to say and something to show. They do it very well too. The afterparty/awards will be silly good too. Very relaxed awards will be followed by a very complex performance sequence in surround and HD live. Dance party like no other in the city. From one artist to another. 6. How does Dead/Live fit into the broader scope of work that you doing right now? Are you more interested in creating your own work or creating opportunities for other artists to present their work, such as this? I like doing both. I really like expressing myself visually and performing. But it's all about the desire to share something beautiful with my audience. And this is exactly what I am trying to do with my festival as well - share something beautiful with all of you. And it does create a service for the artists that get featured in the fest as well - it's great exposure for them. My bottom line was fun though. I want it to be a fun experience for myself to do this, for the audience to experience it and for the artists to perform and present their work. That's it really.